Like our Acidophilus Extra 10 but with 4 billion friendly bacteria per capsule (gelatin-based). This is our original Acidophilus Extra product and in an independent study was shown to be one of the few probiotics that lives up to its label claim. 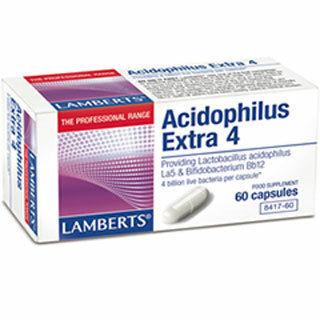 Be the first to review “Lamberts Acidophilus Extra 4 60 capsules” Click here to cancel reply.